Paramount Pictures has signed off on a follow-up to the 2004 comedy. 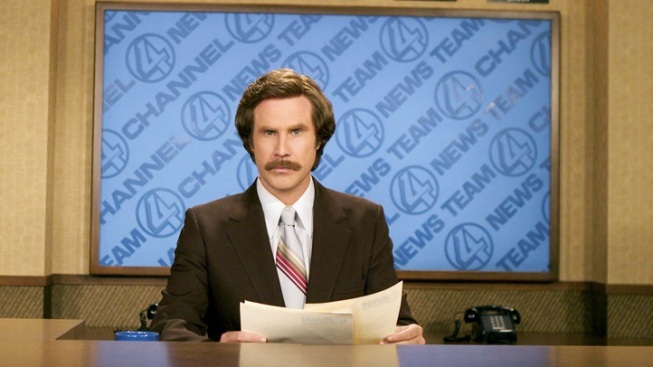 Will Ferrell's swashbuckling newscaster Ron Burgundy had his own breaking news to announce Wednesday night: A sequel to "Anchorman" is finally happening. Ferrell made a surprise, in-character appearance on "Conan" to regale the audience with a flute solo and declare a deal with Paramount Pictures. A sequel to the 2004 hit comedy, "Anchorman: The Legend of Ron Burgundy," has long been discussed. Ferrell informed host Conan O'Brien: "It's official, there will be a sequel to 'Anchorman.'" Earlier, Paramount had declined a musical plan put forth by Ferrell and director Adam McKay that also included a proposed Broadway stage show. No details on the project were immediately available but McKay, producer Judd Apatow, and co-stars Paul Rudd and Steve Carell are expected to return.